This year I’m super excited to celebrate all the seasons. And the reason being is that now I have a mantel to decorate. But not just any mantel; this one is a 1938 kind of mantel! Because of this great excitement, today I’m sharing my first styled mantel where I took my inspiration from the lovely colors of the stone used on its header and legs. As you’ll notice this stone has an organic design carving which I’m roughly guessing can be of Mediterranean Revival influence. Nevertheless, I can only conclude that who ever designed it thought very well on what can be used over and over again from years to come. This fireplace header carving is definitely an attention grabber hence my excitement when it comes to decorating its mantel. Following the visual movement its organic design creates, I’m throwing several natural objects into the mix to make it more vivid. 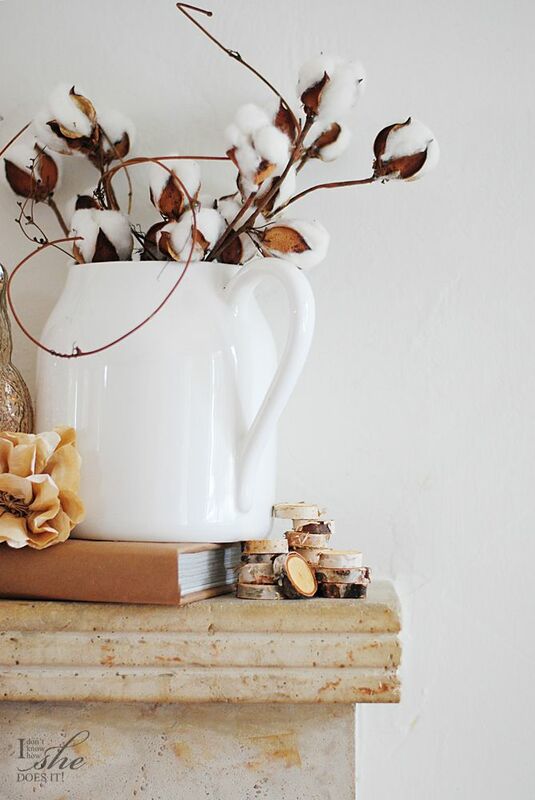 Some dry cotton branches and mini wood disks (from Michaels) echo the natural aspect of the fireplace header. For this vignette I also used some pumpkins. One made out of wood (from Target) and the other, a real gourd. This bumpy little thing lost its stem, so I made him a new one with some strongly twisted brown paper. 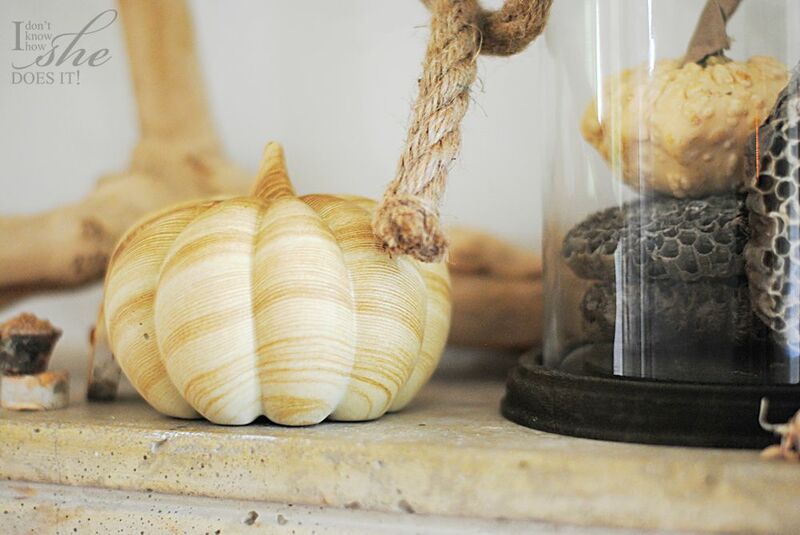 I hid this gourd under a apothecary glass dome (also from Michaels) with some dry honeycombs. 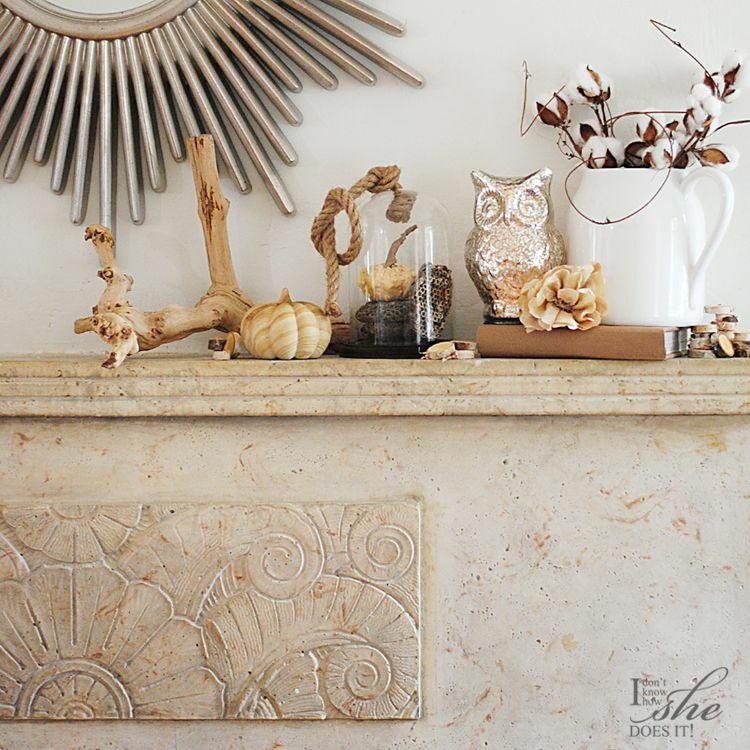 With this soft palette I created a Autumn mantel that can easily make a transition into Halloween or even Christmas by just adding additional accents or even greenery. 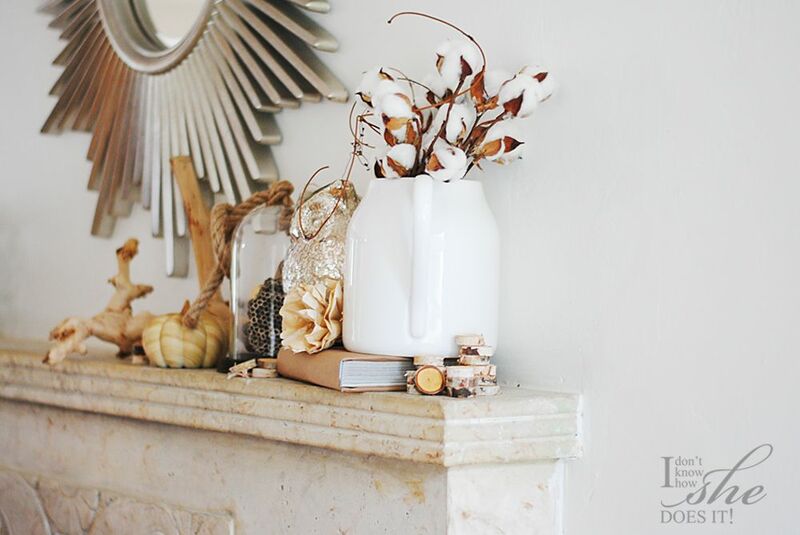 What style did you used in your mantel? 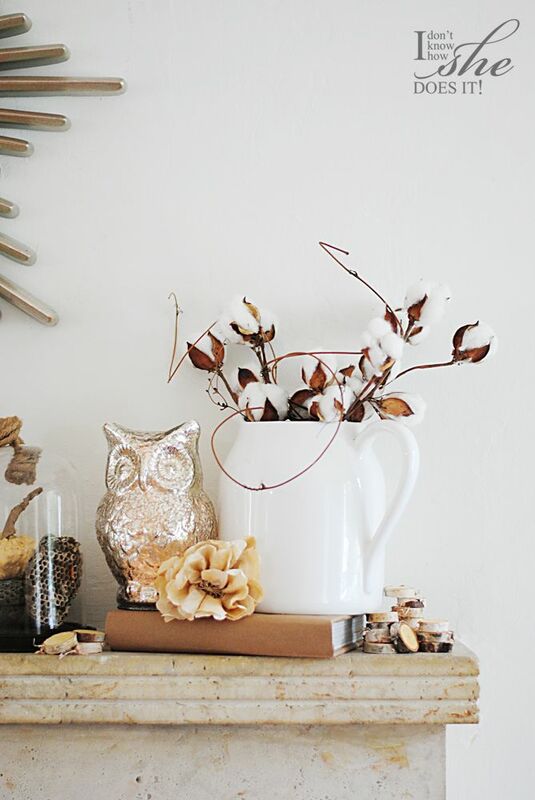 If you don’t have one, what is your favorite nook to decorate during the festivities? Share with me your ideas, I’m always in the look for some inspiration. Lucy thank you so much! This is such a huge honor. Appreciate your constant support. Have a lovely Fall season!